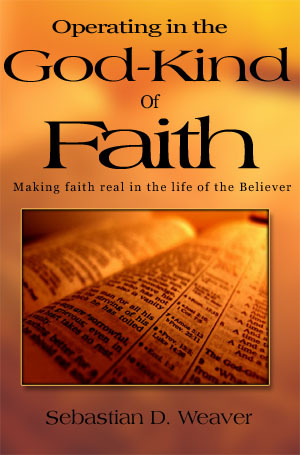 I am proud to announce the completion of my first book: “Operating in the God-kind of Faith“. It is sure to enlighten, strengthen and encourage the Believer in your walk of faith! Stay tuned for more info on the release date. Thank you Ellie…I appreciate you! Praise the Lord for your faithful service to Him. Keep us posted!! Praying for you ministry and family. Please tell your Sweet Wife hello!! Thank you K for your faithfulness and encouragement! Jill says hello as well Blessings! Thank you Patty…I appreciate it! Thank you so much! I’m not sure who this is but thank you for the encouragement! Blessings to you as well! Thank you for this spiritfilled Teaching, please share more. in JESUS LOVE, Evangelist Babu. You’re welcome my friend! Thank you for your support!! Blessings! Congratulations Sebastian on the new book! Congrats!! It’s sure to be inspiring! Best of luck fellow author. Congrats on this incredible accomplishment! Thank you Julie, I really appreciate it! It is now available on Amazon in paperback and on Kindle. Thank you for your support! Good for you!! I only read the King James Authorized Version!! Trust in Jesus Christ Only Everyone, only HE can SAVE you!